I have a question about the property at 60 E Springfield Street Boston MA 02118 (#72440461). I would like to schedule a visit for the property at 60 E Springfield Street Boston MA 02118 (#72440461). I have a question about the property at 60 E Springfield Street Boston MA 02118 (#72441770). I would like to schedule a visit for the property at 60 E Springfield Street Boston MA 02118 (#72441770). I have a question about the property at 165 W Canton Street Boston MA 02116 (#72403666). I would like to schedule a visit for the property at 165 W Canton Street Boston MA 02116 (#72403666). I have a question about the property at 118 Appleton Boston MA 02116 (#72485601). I would like to schedule a visit for the property at 118 Appleton Boston MA 02116 (#72485601). I have a question about the property at 77 Montgomery Street Boston MA 02116 (#72378238). 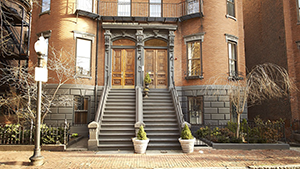 I would like to schedule a visit for the property at 77 Montgomery Street Boston MA 02116 (#72378238). I have a question about the property at Rutland Square Boston MA 02118 (#72476417). I would like to schedule a visit for the property at Rutland Square Boston MA 02118 (#72476417). I have a question about the property at 10 Bond Street Boston MA 02118 (#72468175). I would like to schedule a visit for the property at 10 Bond Street Boston MA 02118 (#72468175). I have a question about the property at 40 Hanson Street Boston MA 02118 (#72482886). I would like to schedule a visit for the property at 40 Hanson Street Boston MA 02118 (#72482886). I have a question about the property at 5 Bradford Street Boston MA 02118 (#72486598). I would like to schedule a visit for the property at 5 Bradford Street Boston MA 02118 (#72486598).